About a hundred million year ago, or back in March, my new blogging friend Paige nominated me for the Liebster Award. 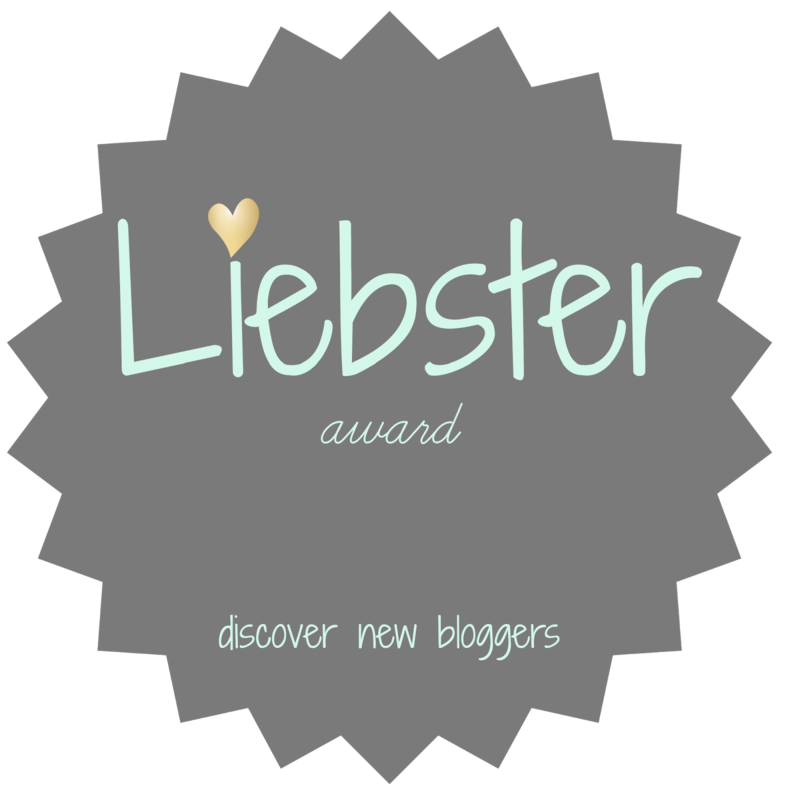 For those of you who don't know, the Liebster Award is given by bloggers for bloggers. Thank you Paige for giving me the award! Sorry it's taken me so long to respond! 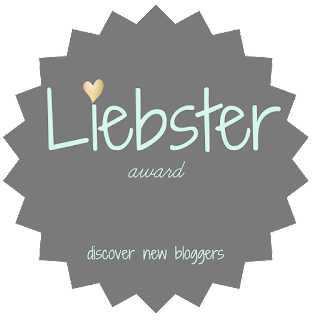 The Liebster Award is a fun way to get to know and meet new bloggers. Today, I'll be answering the questions Paige came up with for her nominees. 1. If you could eat one food for the rest of your life, what would it be? 2. Favorite nail polish color? Mine definitely changes with the season.....Right now on my toes, I have Essie Bachelorette and Essie Ballet Slippers on my fingers. And anything with a little shimmer to it is a-ok in my book! 3. Who would you most like to see in a concert front row? This fall, we saw the opening night of the Garth Brooks tour. It was AMAZING! Seeing it front row would have been even more amazing. I love Garth. Flats. Don't get me wrong, I love a good heal but the older I get, the more they hurt my feet. Madison, WI. =) Not a hard question for me to answer. I'm desperate to live back there and be near all of my friends. 6. A good dinner out, or a new item for your closet? It depends on how good the dinner is vs. what item for my closet. I mean if we are talking Louis Vuitton vs. a good meal, then the new item in my closet, hands down! Ok, who are we kidding. 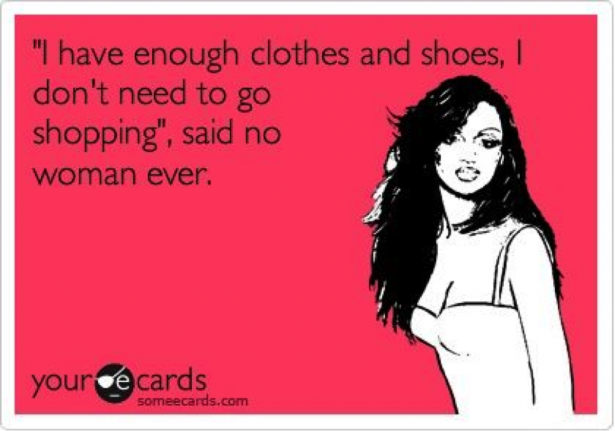 It's almost always going to be a new item in my closet. 7. What is one movie you could watch countless times and never get tired of? Ooooooo there are many. For example on the plane ride home from Utah, I re-watched Because I Said So for the millionth time. My hubby complains I re-watch Hallmark Christmas movies too often. Pretty much if it's a chick flick, I can guarantee I've watched it countless times and am not sick of it. 8. Sweet or salty snacks? Salty. Then a little sweet to balance it out. 9. What is one skill or hobby you’ve always wanted to learn? To cook well. And to enjoy it. 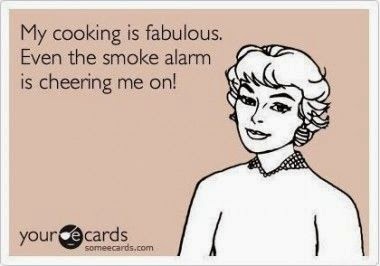 I really want to learn to like cooking. And well, is more of a relative term. I don't need to be a gourmet chef, just enjoying cooking and being able to make some nice, simple meals would be good enough for me. A loooooot of trial and error and brain storming. I like alliteration. That much I knew. And since I like wine (duh!) and often feel like life is always total chaos.....well there you have it. I feel like it sums me up perfectly. 1). Where is your favorite place you've ever traveled to? 2). Favorite nail polish color? 4). If you could relive any moment in your life, which would you choose? 6). 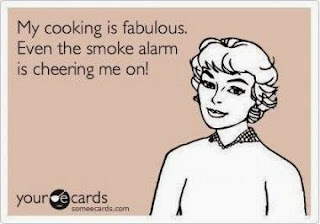 What is your favorite meal to cook at home? 7). Wine or Beer? Or Cocktails? 8). New piece of jewelry or a new handbag? 9). What is one skill or hobby you’ve always wanted to learn? 10). How did you come up with your blog name? Haven't had any in awhile....might need to fix that this week! Thanks lady! And thanks again for the nomination! Love Because I Said So. I want to see Garth so bad! Thanks for the nomination!